A strange set of events led me to candlemaking recently. 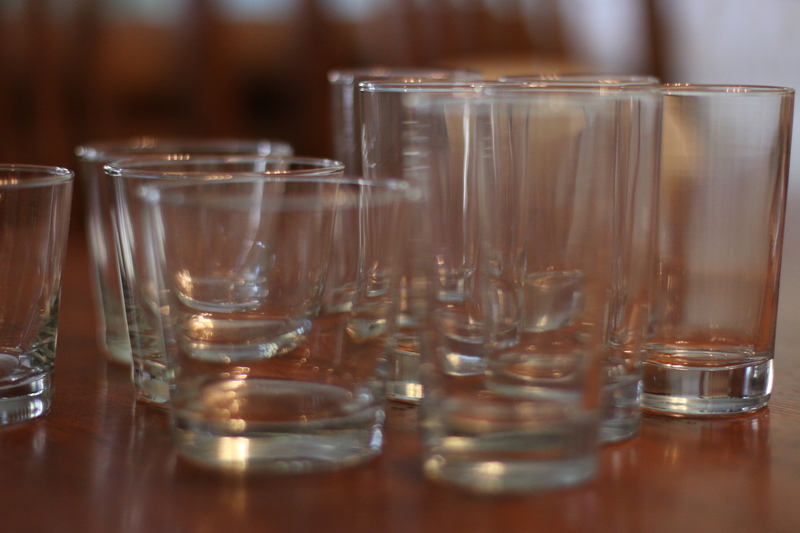 It turns out I’m kind of obsessed with drinking glasses. It’s an odd obsession to have, I acknowledge, but it is there nonetheless. And a search for a particular glass ended in me buying several cases of not-quite-the-right-one. And with a 40% restocking fee to return those glasses I searched for something to do with some slightly sophisticated but not-quite-right glasses. I came up with making candles. Brilliant, right? 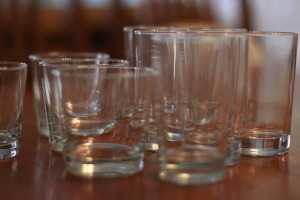 I did ultimately get the drinking glasses I was looking for, but now I also have several dozen other glasses as well. And they make very sophisticated little candles (it turns out I also really love fire)! I cannot wait to share this with you because they look so pretty and make such delightful little gifts. Little clusters of these candles also look very beautiful on the table for dinner or just to decorate your home for any event you have. I love the look of these candles and I also love that the wax is poured lower so it protects the candle from being blown out when it’s outside in a light breeze or near a fan or an open window or something. I love them all! I am in the camp of lightly scented candles are better than strongly scented candles… I’ve walked into many a candle shop only to walk out one minute later with a headache. The fun thing about scenting your own candles is that you choose exactly how much they will be scented! You can also color them but I chose to keep mine all white. And giving them as a gift in a set is also a clever gift because you will also be giving your friend a set of glasses… Beautiful little drinking glasses, isn’t that cool? 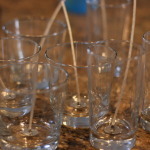 Making soy candles is pretty easy, I hope you give it a try. 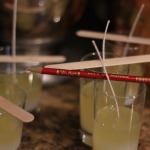 Especially if you can make some sophisticated little candles like these, which I love. 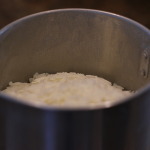 Measure out a pound or 2 (1 pound of wax makes 5 or 6 of these little candles the way I do them, or it will make fewer if you prefer to fill the wax to the top) of wax flakes and melt in the top of a double boiler, very slowly and at low heat, stirring often. I actually melted mine in a candle making pitcher and put it on top of canning racks in my big pot with a little water in the bottom of the pot. 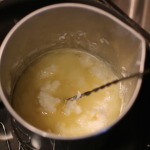 Once the wax is completely melted, let it cool about 10 minutes (remove if from the double boiler or the canning rack and onto the counter or a burner on the stove that is cool). 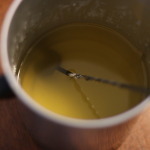 You need to add the scents after the wax has cooled a bit or they will lose intensity. Add scents (and colors, if you are using them) and gently mix in. 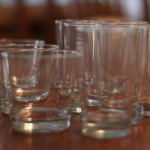 Pour wax gently into the glasses, taking care not to splash the wax on the sides. Center the wicks immediately using popsicle sticks with holes drilled through them, or card stock with a hole pinched in the middle, or a pencil (see photo below). 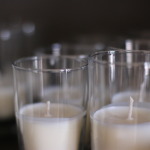 Let cool completely (they should cool at least 24 hours before you burn them) and then trim the wick to about 1/4 inch. 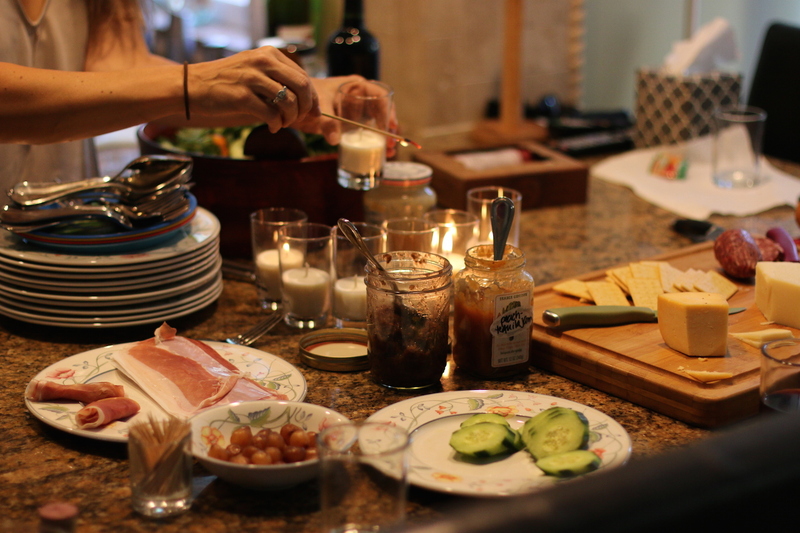 So many options for candle scents… make up your own combination! These sound wonderful. Very clever way to use your glasses.